Jenn is from the small town of Prince Rupert. She attended Camosun College, Malaspina College and Vancouver Community College. Jenn has been working in her field for over 16 years. She started as an office assistant in high school then became a CDA and hygienist and recently took on the role as the office manager here at Lantzville Dental. She strives to give the most comprehensive thorough care to her patients to help facilitate their overall health. She loves meeting people, and the challenge of difficult dental cases. One of her favourite parts of the job is esthetic dentistry and seeing people improve their oral health from the beginning to the end results. When not at work, Jenn loves anything to do with the sunshine and outside – camping, canoeing, biking, gardening and spending time with family and friends. Her biggest accomplishments include finishing school and working in a field that she’s always wanted to, getting married to her high school sweetheart and buying a house. Jenn also loves her community and enjoys volunteering and helping out where she can. She's donates monthly to UNICEF, yearly to the BC Children's Hospital, donates blood and helps with gift wrapping in the malls during the holidays. She’s half Mexican and can almost speak 3 languages. She was also a competitive dancer, and is very good at renovations/handy work. Trevor was born in Edmonton, Alberta and grew up in Moose Jaw, Saskatchewan. He then went on to attend S.I.A.S.T. – Saskatchewan Institute of Applied Science and Technology in Regina. He’s been working as a dental hygienist for over 28 years. He loves getting to know our patients and watching them grow in their dental health. He plans on continuing to learn and expand his knowledge in the dental field. When not at work, Trevor’s favourite thing to do is spending time with his wife and 3 children, doing puzzles and playing board games. He also enjoys going to the gym, camping, traveling and volunteering. He’s been the Chair of the Upper Island Musical Festival Dance Gala for two years, a canvasser for the Heart and Stroke Foundation for 8 years and has been a part of the Rutherford P.A.C for 10 years. He was the first male Dental Hygienist to graduate from S.I.A.S.T in Saskatchewan. He’s also very good at painting, cooking, DIY projects and being the best dance dad in town. Marjolaine is originally from Grande Prairie, Alberta and went to Vancouver College of Dental Hygiene where she’s been working in her field for over 11 years. Marjolaine is great at educating our patients in an effort to maintain a healthy periodontium. She is known for her gentle touch and loves making a difference in her clients self esteem. She’s even volunteered with Health Outreach in Guatemala providing dental care to children. Outside of work, she enjoys spending time with her family, hiking and camping. She likes to build strong relationships and focusing on her health. She’s fluent in French and is surprisingly good at twisting her tongue to both sides. Katie grew up in Campbell River, Gold River and Tahsis. She attended VIU and completed her Bachelor of Arts degree in Physical Education and History. She then went on to attend Camosun College where she received her Dental Hygiene Diploma. During Katie’s time at Camosun College she had the opportunity to travel to a small community in Mexico offering dental hygiene services to locals. She was also selected to participate in a dental hygiene exchange in Sendai, Japan. At work, Katie loves getting to know our patients and making them feel comfortable. She loves helping people achieve optimum periodontal health no matter the age of the patient – she’d scale calculus even if she didn’t get paid to do it! Community is very important to Katie and down the road, she would like to improve access to dental care for local people. When not working, Katie enjoys spending time with her husband and kids (Ben and Heidi), biking, hiking with her pooch Teio, camping, drinking coffee, fishing, exploring the island and eating peanut butter from the jar. She’s very passionate about the outdoors and staying active both as a family and individually. One day she WILL complete an Ironman … one day. When she was in grade 4 she completed The Great Walk (63km) and was awarded the Youngest Walker. She’s also surprisingly good at playing crib. Shannon was born and raised in beautiful Lantzville. She attended VIU and received her Dental Hygiene diploma. She’s been working in her field for 5 years and her favourite part of the job is getting to know our patients and working with such an awesome team. When not at work, Shannon enjoys fishing, boating, hiking with her dog Finley and spending time with friends and family. She also spends time volunteering with the Nanaimo Dental Hygiene Study Group and volunteers at VIU with the Dental Assisting and Dental Hygiene programs. She never wears matching socks … ever. She’s also really good at eating potato chips and drinking wine. Gnilane was born in Senegal, west Africa and grew up here on the island in Port Alberni. She attended Vancouver Island University, graduating in the class of 2010. Gnilane has been working in her field for 7 years now and enjoys every minute of it. She is very passionate about providing preventative and comprehensive dental hygiene care. Working with great people and helping others become their healthiest selves is very rewarding. When she’s not at work, she enjoys spending time with friends, family and her dog. She also enjoys cooking, fitness and renovating her house. She can play the guitar and she’s also bilingual and can speak French and English. Selina is an Island girl from Lake Cowichan. She attended school in Lake Cowichan, Prince George and Nanaimo at VIU (formerly Malaspina). Selina really enjoys getting to know our patients and their families. She's been working in her field for 13 years and always wants to make sure her patients are comfortable while providing a great experience and excellent service. When not at work, Selina enjoys spending time with her family and friends. She also enjoys camping and paddleboarding. She would really love to travel the world one day and hopefully hike the West Coast Trail with her husband. If she wasn't a dental assistant she'd go into interior design and decorating. She's also surprisingly good at throwing a football. 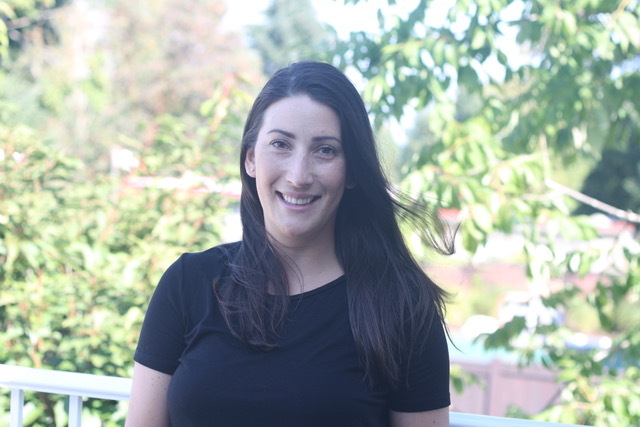 Amanda was born and raised in Nanaimo where she attended VIU and graduated from the Certified Dental Assistant course. She’s been working as a CDA for 6 years – all here at Lantzville Dental! Amanda loves to help and care for each patient during their dental treatment. She enjoys being a part of great transformations both physically and mentally and finds it very rewarding. She loves that every day is different, and you get to be a part of many different treatments. Amanda is always looking forward to learning something new every day. When not at work, Amanda enjoys exploring local trails with her dog (who she rescued!) or cooking and trying out new vegetarian recipes. She’s very passionate about making memories and going on adventures. Just like her newest adventure – buying her first home with her husband after getting married last summer. She’s never traveled or visited another province outside of BC. She’s been to many States, but hasn’t found her way across Canada yet. 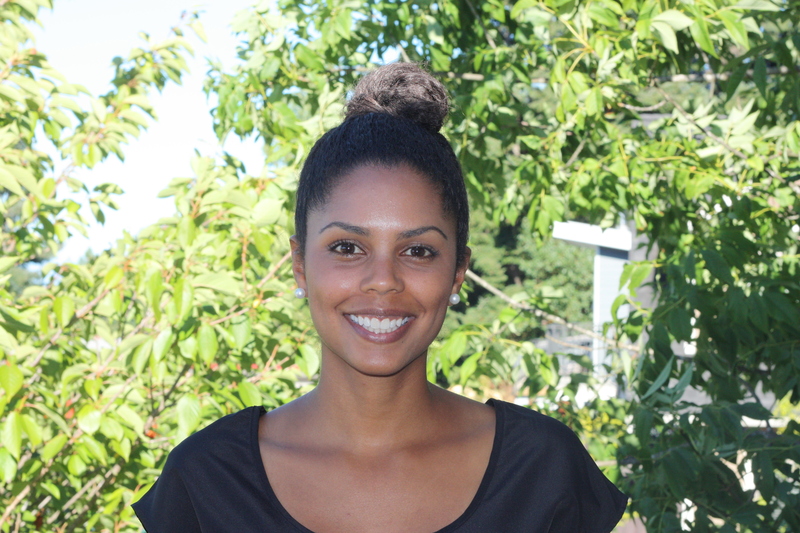 Cristiina was born in Surrey and raised in Nanaimo where she attended VIU. She’s been working in her field for over 15 years. She really enjoys the variety of the job, and that everyday is different. Cristiina is known for being very gentle with her patients. Outside of work, Cristiina loves spending time with her 2 kids, going to the gym and reading. One of her goals is to travel more and see the world and would love to volunteer on a dental trip one day. She would love to be a mechanic! Oh, and she’s bilingual and can speak Finnish. Susan grew up on Vancouver Island and graduated from Malaspina College as a Certified Dental Assistant in 1986. She’s been assisting here at the Lantzville Dental since 1990 and loves working with people. Patients have come to know her for her calm and pleasant demeanour, and her friendly personality. She’s assisted in various Study Clubs, and is as a member of ongoing continuing education groups. Susan enjoys learning new material and techniques in Dentistry. Susan has 2 active children, and enjoys volunteering at their school when she can. She also loves to spend time with family and friends, traveling the world and tasting all types of ethnic foods, reading, hiking, playing badminton, and making crafts. She likes finding new places to eat – it’s one of her favourite past-times! Sheryl is an island girl, born and raised in the Alberni Valley. She attended University of Victoria, Camosun College and UBC and has been working in her field for over 3 decades. Sheryl loves working at Lantzville Dental and enjoys working with both her coworkers and patients. She strives to always do a great job and give it her all, no matter what the task is. She’s known for her people skills, thoughtfulness and integrity. When not at work, you can find Sheryl cleaning (she would do it for free! ), gardening or boating. She used to be a synchronized swimmer and a part-time cosmetician at Shoppers Drug Mart. She’s also fantastic at red neck activities – she’s a Port Alberni girl after all. Sokha was born in Thailand and moved to Canada when she was 6 years old. She did most of her growing up in Nanaimo graduating from NDSS and VIU. Sokha has been working in her field for over 12 years. She loves the variety in her work and being able to help patients understand and improve their dental health and knowledge. Outside of the office, Sokha’s biggest accomplishment is being a very proud mom to her son, Rowan, an old soul in a 2.5 year old body. She is currently working on her newly found passion for hair in a downtown studio. She dreams of one day traveling the world but settles for the beautiful outdoors of Vancouver Island. She loves to paint and draw but anyone who knows Sokha knows that eating and dancing is life! Trina was born and raised on Vancouver Island. She lived at the northern end of the island until she was 10 years old then moved to Nanaimo where she’s lived ever since. Trina also attended school in Nanaimo at VIU and took the Dental Receptionist course. Trina has been working in her field for over 6 years and her favourite part it seeing how happy patients are at the end of treatment – a smile goes a long way! She thrives off of working with the public in a fast paced environment. She has many accomplishments with raising her 2 amazing girls with her husband as number one. She also likes to spend time with her family and friends, go climbing, ATVing and camping. Trina would like to retire by 65 while still young and energetic enough to chase the sun around the world. Although she would run an animal rescue if she had the chance. She conquered Mudderella 2016 in Whistler, BC. Rachel was born in Chicago, Illinois but grew up on an acreage just outside of Edmonton. Rachel’s been working in her field for four years. She’s very passionate about continuing her education in all aspects of dental care. She strives to provide the best, most accurate information to her patients. To achieve that, she continues to try and improve and broaden her skills even if it means working in the back, chairside, or at the front with the goal of completing her CDA training. When not at work, she enjoys spending time with her daughter and family. The best nights are game and movie nights and making meals together. Rachel also enjoys volunteering. In Edmonton, she’d volunteer with a women’s interfaith group in Edmonton, spending time collecting donatables, learning about other cultures and faiths. She’s also volunteered as a literacy tutor for children in elementary school. Her love for Disney surpasses her 9 year old daughter’s and she’s surprisingly good at reciting Disney songs. Natalie grew up in Kelowna, BC then made the trip over to Edmonton to go to college at NAIT. She achieved her diploma and graduated on the Deans Honour Roll. She's been working in the healthcare and wellness industry for 10 years and loves every minute of it! She's passionate about growing and advancing in the industry and her favourite part of the job is working with such a great team and helping make a positive impact on others. When Natalie isn't at work she enjoys spending time with her daughter outside, exploring the island. Before having her daughter,She was planning to enroll in the Emergency Medical Responder Program through the Canadian Forces. She's also surprisingly good at Interior Decorating and Design.